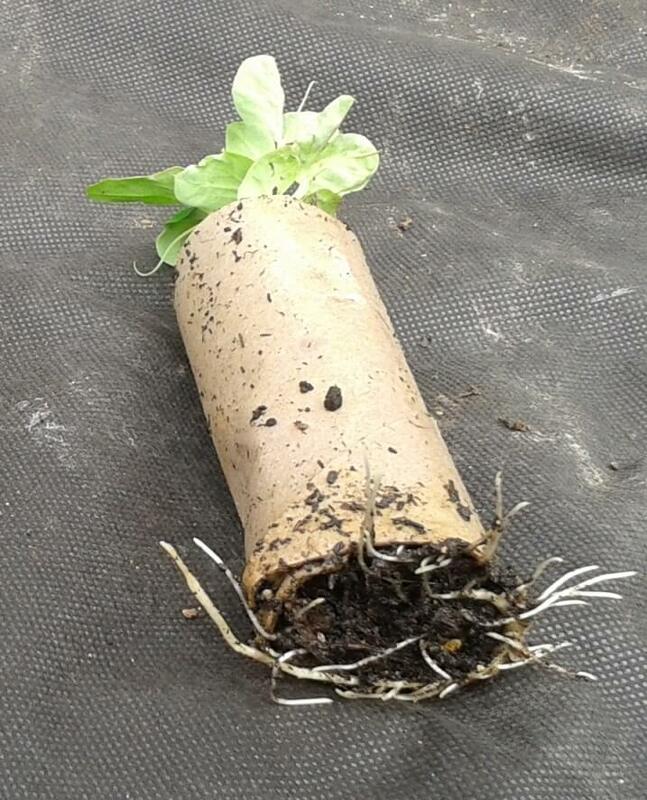 You are here: Home › Practical gardening › Exactly what do plant roots do? Exactly what do plant roots do? • Comments Off on Exactly what do plant roots do? Plants need roots and although some plants absorb water and nutrients from the air or host plants, most have their roots firmly embedded in the soil and here we look at what their functions. Firstly roots (hopefully) anchor the plant securely in the soil against buffeting by winds and passing animals. Secondly, plants take in nutrients from the soil, compost or other growing medium through their roots. The basic process is the same whatever the size of plant from ground hugging alpines to huge forest trees: it is the hairs on the tiny rootlets at the ends of the root system that absorb water from the soil; the huge thick roots that you see on trees and shrubs serve to anchor the plant firmly in the ground, spread the functioning roots out over a large area to reach most water and transport the absorbed water and nutrients to the working parts of the plant above ground such as the leaves for photosynthesis. Plants only absorb nutrients dissolved in water so these too come in through the root hairs. Contrary to common belief, roots do not grow towards water – they cannot detect water at a distance – but they do grow downwards as they detect the centre of gravity, a property called geotropism, and spread out by branching until they come into contact with water in the soil. It is fairly obvious then that plant roots need water in the soil; what may not be so obvious is that they also need a constant supply of oxygen from the air in the spaces between soil particles. Oxygen is critical for ‘respiration’ for all plant cells to release energy both to power their processes and to grow. Without oxygen the roots respire without oxygen (anaerobically) for a short time but this produces less energy and toxic by-products which start killing the cells. This is why long term water logging is such a problem for plants that are not adapted to growing in bogs or ponds. Once the tiny root hairs have died they need to be replaced, using up valuable stored energy, once the soil dries out before the rest of the plant can start to grow. The only good news is that dormant plants in winter need much less energy and so generally survive flooding for longer than actively growing plants in the spring and summer. If you have a regular flooding or water logging problem in part of your garden, consider improving the soil structure to increase natural drainage or even installing soil drains to carry excess water away. Alternatively you could channel your natural assets to create a bog garden. ← Want to grow Figs? Yes you can!